Commercial/Industrial lot is located less than 5 minutes to the I-255 interchange with all utilities available at or near. 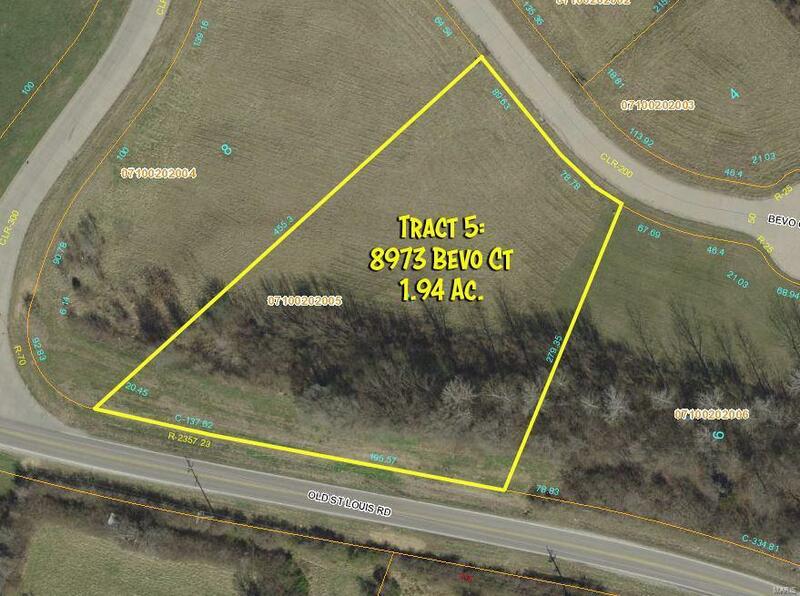 This 1.94 Acre lot can be sold as part of 6 lots to total an 8.66 Acre parcel, or individually. 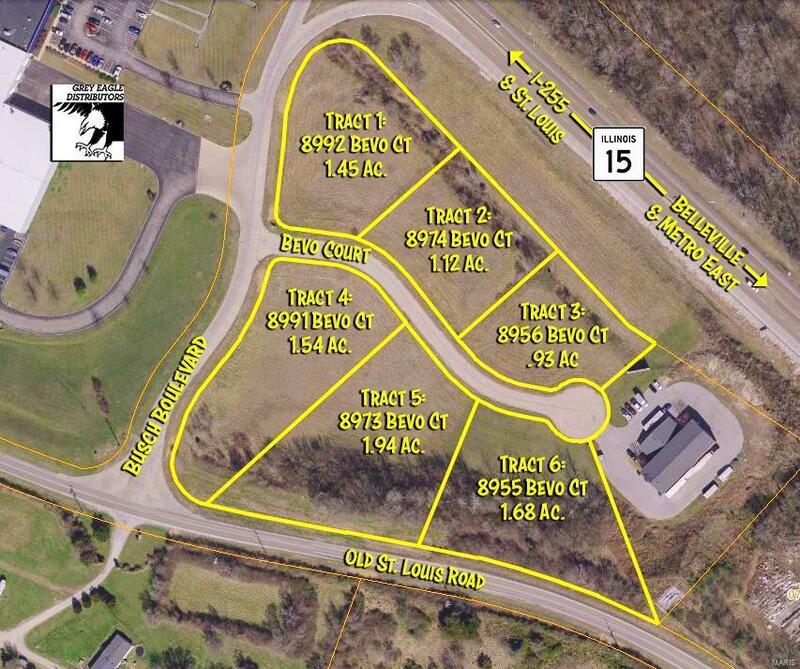 This and all lots within Eagle Pointe Office Park are zoned D-1, Light Industry or Commercial and are within the city of Belleville zoning jurisdiction. Approximately 35,000 Vehicle per day traffic count along IL Route 15. Parcel numbers for each of the 6 lots are as follows: 07-10.0-202-001; 202-002; 202-003; 202-004; 202-005; 202-006. Buyer is responsible for independently verifying permitted uses with the proper authorities for any future building plans.